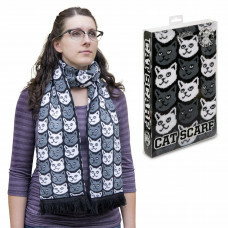 Scarves, Cat Scarves, Scarves for Catty people everywhere! 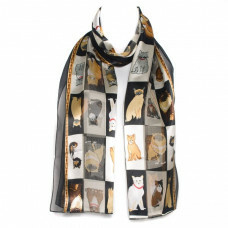 The ultimate cat scarf!!! 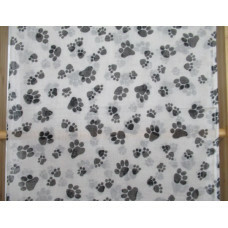 Many different breeds of cats are featured in a ..
Wrap yourself in paws! 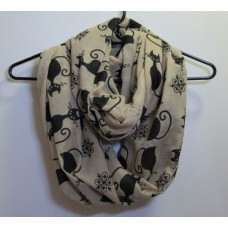 This cute scarf is a natural cream colour that will.. Pretty kitties! 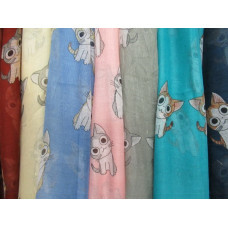 This beautiful scarf sure to become a classic in your ward.. 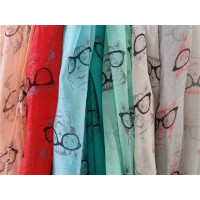 Dress it down or dress it up, the Silhouette Scarf is a purrfectly, pawsome.. 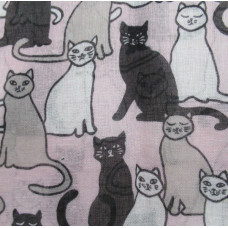 Decorated with lots of kitties! 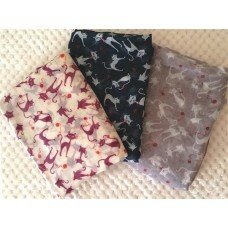 Keeps your neck warm! Tassels fun for cat..
Gran's a Glamour Puss!!! 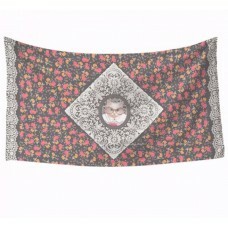 The centre of this stunning scarf is a gorgeous g..